The Empire Polo Club kicks off their 2018 season in style. 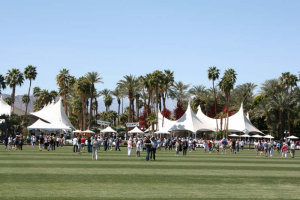 Empire Polo Club (Empire) situated in the Coachella Valley in Indio, California, is the self-proclaimed “Disneyland” of polo in the United States. Boasting one of the most exquisite and elaborate grounds, the club aims to impress players and spectators alike with a polo experience like no other. 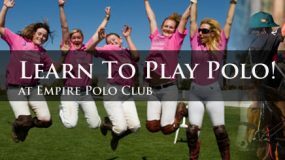 Offering a competitive polo season (mid-December through March) with public Sunday matches and a seasonal polo school, the club operates year-round hosting numerous non-polo events, such as music festivals—including but not limited to the famous Coachella music festival. Established in 1987, the club has steadily grown over nearly three decades to include 12 grass polo fields, an indoor polo arena with stadium, two exercise tracks, on-site stabling for 650+ horses and the only fully-lit grass polo field in the United States for night polo. Equine amenities aside, the club houses not one, but two restaurants—The Tack Room Tavern Restaurant & Bar and Polo Pizza Co.—as well as “The Date Shed” a former date packing facility turned nightclub and live music venue. Nacho Figueras in action at the Empire Polo Club. “I think the players are always excited to come back every season to see what we have done over the summer. Most clubs when they are not playing polo are basically locked down and there is nothing going on. Here, we are constantly making improvements, so when the players come back each year there is always something new for them to see. 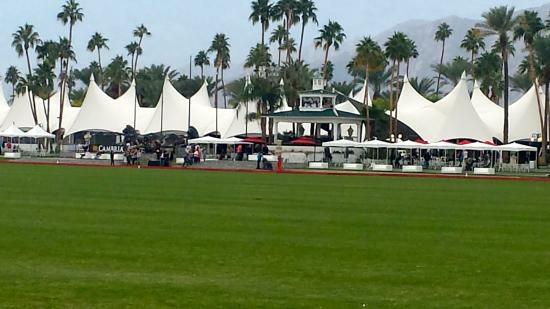 This year it’s our pizza kitchen, the players will have another place to eat at the club which is really fun, an outdoor bar with TV screens.” said Kevin Ittig, Empire Polo Club Operations Manager. All of this combined with consistently picture-perfect weather are the factors that have made Empire Polo Club such a success. “We have three games a week, one practice and two tournament games. I think we had one rain day last year and one rain day the year before—and we played on that rain day! We sanded beforehand, stomped divots, sanded after and it was a great day!” said Polo Manager Vicky Owens. The 2018 Polo Season at Empire Polo Club officially begins on Decembver 31st with the first Sunday Polo game of the season. Sunday Polo regularly attracts 1,500-2,000 spectators on a regular weekend and up to 3,000 for a final. A wide variety of spectating options are available including VIP cabanas and individual seating, tailgating and general admission bleachers – each with an equally fantastic view of the field. 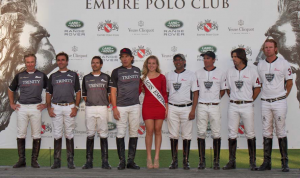 Empire prides themselves on their ability to create polo fans. “That’s where the next polo players are going to come from, the sidelines somewhere. You have to see the experience and really live the experience before you ever get on a horse. Polo can be a bit complicated if it’s not explained well, and when people don’t follow it they don’t come back–they just don’t get it.” said Ittig. A former professional player, Ittig serves as the resident announcer in addition to his duties as Operations Manager. Post-game trophy presentations are always a part of the Sunday matches. “Kevin gets everybody so involved. He explains what is going on during the game and he’ll do a Polo 101 at halftime. It’s a whole experience here, rather than just a social gathering,” added Tony Schieffer, Director of Sales. “Our spectators are loyal and they come back year after year and they bring friends, or they bring relatives when they come to town. So, it is growing,” continued Ittig. Not just a prime location for polo spectating, polo players travel to Empire from around the country including Texas, Colorado, Washington and Canada—in fact most of their members are from out of state. Empire offers a 1-Goal League, 4-Goal, 6- to 8-Goal, a women’s tournament, arena tournaments and monthly “Friday Polo Under the Lights” event. What sets them apart are their prize money tournaments, the Lions Cup 4-Goal and Champions Cup 8-Goal. Teams pay an entry fee which the club matches. Unlike other money games, the only deciding factor is the final score. The victors garner seventy-five percent of the total pot while the runner-up collects the remaining twenty-five percent. 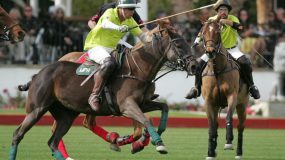 A unique feature considering the majority of prize money tournaments are geared towards a mid- to high-goal level of polo. Another feature unique to the club is their golf cart polo. “We invented it,” said Ittig, regarding golf cart polo. “Golf cart polo is followed by an exhibition match afterwards, it’s really unique for an event, something different!” A professional player drives the cart, then invite guests to sit in the passenger seat and control the mallet. Safety is a priority, with seat belts, helmets, bumpers and a plate to make sure the guests cannot slide their foot over to the gas or break. 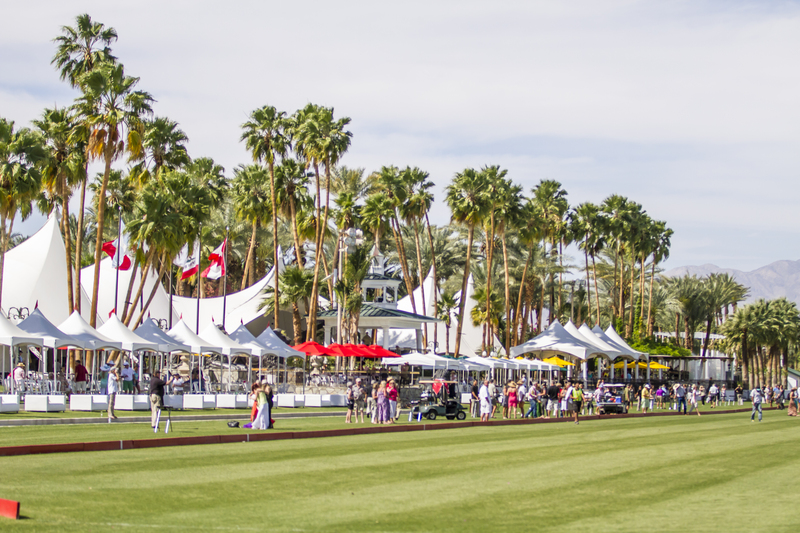 A great way for guests to connect with the players, and even get a feel of holding a mallet, golf cart polo has become wildly popular at Empire Polo Club. The popular divot stomp that allows spectators to stretch and socialize at halftime between chukkers. 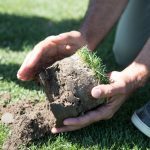 Club staff assert that playing in the desert is comparably less expensive to other California locations and more importantly their rival winter destination—Florida. Hay is grown locally, decreasing costs significantly as buying hay on the East Coast (where it is shipped in regularly) can be costly and an expensive expenditure often overlooked by the un-seasoned player. Plans to expand continue with a recently acquired 93-acre pasture facility, which will be available in June increasing capacity to an astounding 800 or 900 horses. This year they will also name the main tournament field in honor of General George S. Patton. A dedication ceremony unveiling the field side Patton bust is slated to take place at the USPA Patton Cup 4-Goal Final at the end of January. A four-goal polo player, General Patton would bring his troops to the desert for training as the climate mirrored that of Africa. 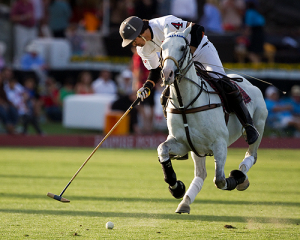 Only a thirty-minute drive from the General George S. Patton Memorial Museum, this tribute is yet another way to improve the polo experience for both spectators and players integrating the rich history of the sport into modern day play.